The Council of the City & County of Swansea cannot guarantee the accuracy of the information on this website and accepts no responsibility for any error or misrepresentation, liability for loss, disappointment, negligence or other damage caused by the reliance on the information contained in this brochure unless caused by the negligent act or omission of the Council. The User acknowledges and accepts that Enjoy Swansea Bay may from time to time alter any aspect of the Website, or any of the services or products provided through the Website, as it thinks fit and without notice to the User. Further, Enjoy Swansea Bay may alter the Terms and Conditions at any time without notice. The User accepts that it will have no claim for breach of contract or otherwise in respect of any such alteration. The City and County of Swansea Council has made every effort to provide information which is accurate and up to-date. However The City and County of Swansea Council cannot accept any responsibility for any loss, damage, negligence or inconvenience which may result from use of this site and any downloadable or other assets associated with it. In some cases; content on any pages where the URL is prefixed by www.enjoyswanseabay.com/events may have been uploaded by third parties. 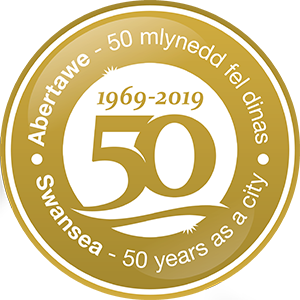 The City & County of Swansea Council work to promote relevant events and businesses with registered offices in Swansea by offering Partner Packages. If you are interested in becoming a Partner read the following information. Only events taking place within the Swansea Bay Marketing Area (including City and County of Swansea and Neath Port Talbot County Borough Council) will be eligible to be published on enjoyswanseabay.com. Only events deemed relevant to the general public of Swansea Bay by the City & County of Swansea will be eligible to be published on enjoyswanseabay.com. The City and County of Swansea has, at its discretion, the absolute right to refuse the publication of any event on enjoyswanseabay.com.